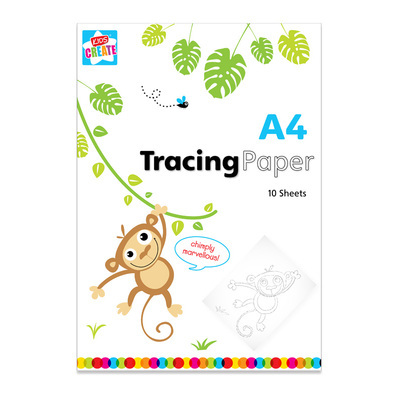 The perfect resource for practising drawing skills, our Tracing Paper A4 slips easily into your existing Arts & Crafts resources. Suitable for use by all ages, it sits easily on top of other pieces of work and enables the drawer to copy the image beneath. When used with pencil, it creates a carbon copy of the image that can then be recreated identically on another sheet of paper. This technique is ideal for developing skills in sketching certain objects including hands or flowers. This large 10 pack can be stored when not in use and fits in well with your crafting session plans. Translucent design allows images and text to be seen underneath.